Directive 2008/52/EC on certain aspects of mediation in civil and commercial matters, including the area of family law, seeks to facilitate access to alternative dispute resolution (ADR) and to promote the amicable settlement of disputes, by encouraging the use of mediation and by ensuring a sound relationship between mediation and judicial proceedings. It applies in cross-border disputes to civil and commercial matters and had to be transposed into national law by 21 May 2011. This evaluation of the application of the Directive is carried out in accordance with Article 11 of the Directive. The objective of securing better access to justice, as part of the European Union's policy to establish an area of freedom, security and justice, encompasses access to judicial as well as extrajudicial dispute resolution methods. Mediation can provide a cost-effective and quick extrajudicial resolution of disputes in civil and commercial matters through processes tailored to the needs of the parties. It is more likely that parties voluntarily comply with agreements resulting from mediation. These benefits are even more pronounced in cross-border situations. While mediation is generally beneficial in civil and commercial matters, its particular importance should be highlighted in the area of family law. Mediation can create a constructive atmosphere for discussions and ensure fair dealings between parents. Moreover, amicable solutions are likely to be long-lasting and can address in addition to the child’s primary residence also visitation arrangements or agreements concerning the child’s maintenance. •	Since 2012, improving the quality, independence and efficiency of judicial systems has been a central feature of the European Semester. The EU Justice Scoreboard feeds the European Semester and assists Member States to improve the effectiveness of their justice systems. The Scoreboard also contains data on activities undertaken by Member States to promote the voluntary use of ADR methods. The Commission encourages the collection and sharing of information on the practices and methods to promote the voluntary use of ADR. The promotion of ADR includes tailor-made publicity (brochures, information sessions), the collection and publication of data, and the evaluation of the effectiveness of ADR methods and of the availability of legal aid for ADR. separate section in the European e-Justice Portal dedicated to cross-border mediation in family matters was created to provide information on the national mediation systems. Furthermore, through its "Justice Programme"4 the Commission co-finances various projects concerning the promotion of mediation and training for judges and practitioners. Finally, Directive 2013/11/EU on alternative dispute resolution for consumer disputes (the “ADR Directive”) and Regulation (EU) No 524/2013 on online dispute resolution for consumer disputes (the “ODR Regulation”) ensure that consumers can turn to quality alternative dispute resolution entities for all kinds of contractual disputes with traders and establish an EU-wide online platform for consumer disputes that arise from online transactions with traders (www.ec.europa.eu/odr). •	In 2013, a study on the implementation of the Directive was carried out. The study was updated in 2016. •	A working group in the European Judicial Network in civil and commercial matters in 2014 prepared a paper on advancing international family mediation in cases of international child abduction. •	The results of the study and Member States' experiences with the application of the Directive were discussed at a meeting of the European Judicial Network in Civil and Commercial Matters in July 2015. •	Finally, a public online consultation was conducted from 18 September until 18 December 2015. 562 answers were submitted by interested individuals, mediators, judges, attorneys, other legal practitioners, academics, organisations, public authorities and Member States. •	15 Member States already had a comprehensive mediation system in place prior to the adoption of the Directive. In these Member States, the Directive has brought about limited or no changes to their system. •	9 Member States either had scattered rules regulating mediation or mediation in the private sector was based on self-regulation. In these Member States, the transposition of the Directive triggered the adoption of substantial changes to the existing mediation framework. •	4 Member States adopted mediation systems for the first time due to the transposition of the Directive. In these Member States, the Directive triggered the establishment of appropriate legislative frameworks regulating mediation. Where the transposition of the Directive triggered the adoption of substantial changes to the existing mediation framework or the introduction of a comprehensive mediation system, an important step forward in promoting access to alternative dispute resolution and achieving a balanced relationship between mediation and judicial proceedings has been made. However, certain difficulties were identified concerning the functioning of the national mediation systems in practice. These difficulties are mainly related to the lack of a mediation "culture" in Member States, insufficient knowledge of how to deal with cross-border cases, the low level of awareness of mediation and the functioning of the quality control mechanisms for mediators. A number of respondents in the public consultation argued that mediation was not yet sufficiently known and that a "cultural change" is still necessary to ensure that citizens trust mediation. They also stressed that judges and courts remain reluctant to refer parties to mediation. Respondents in the public consultation recognised the important role of mediation in particular in family law matters (especially in proceedings concerning the custody over children, access rights and child abduction cases), besides the commercial disputes. The study and the public consultation show that it is very difficult to obtain comprehensive statistical data on mediation, e.g. the number of mediated cases, the average length and success rates of mediation processes, with a special focus on cross-border mediation. In particular, there is no comprehensive and comparable data for entire jurisdictions. However, in the consultation many mediators provided data concerning their own activity, in particular the number of mediations conducted, and - often impressive - success rates. Others stated that success rates depended on the number of parties, the subject matter at stake and the individual situation, factors which they consider to have also an impact on the length of proceedings. Others regret the fact that without a reliable database it is very difficult to make the case for mediation and its effectiveness and to gain public trust. Overall, respondents seemed to agree that mediation achieves significant cost savings in a wide range of civil and commercial disputes and in many cases significantly reduces the time required to resolve a dispute. court proceedings, it is more difficult to obtain comprehensive data on mediation, a more solid data basis would be of significant importance to further promote the use of mediation. The European Judicial Network in civil and commercial matters has started work to improve national data collection on the application of Union instruments in civil and commercial matters, including Directive 2008/52/EC. Almost all Member States have extended the scope of their measures transposing the Directive beyond cross-border to domestic cases. Only 3 Member States have chosen to transpose the Directive with respect to cross-border cases only, using the "cross-border" definition of the Directive. The extension of the scope to domestic cases is to be welcomed since the number of domestic cases exceeds that of cross-border cases by far. The rules of the Directive thus extend beyond its scope, to the benefit of the users of mediation. The extension to internal cases also shows that Member States have generally wanted to treat internal and cross-border cases alike. Taking into account the content of the rules of the Directive, there is indeed no reason to differentiate between the two types of cases. Furthermore, it should be noted that whilst in practice, family law appears to be the area where mediation is used to the greatest extent, the Directive applies to all civil and commercial matters. One area where mediation remains underdeveloped is that of insolvency proceedings. It should be recalled that in its Recommendation on a new approach to business failure and insolvency, the Commission has encouraged the appointment of mediators by courts where they consider it necessary in order to assist the debtor and creditors in the successful running of negotiations on a restructuring plan. The adoption of codes of conduct at national level is perceived by stakeholders as an important tool to ensure the quality of mediation. 19 Member States require the development of and adherence to codes of conduct whereas in other Member States providers of mediation set their own codes of ethics. In some cases, Member States went beyond the minimum requirements of the Directive, making adherence to codes of conduct compulsory for mediators and mediation organisations. The European Code of Conduct for Mediators10 plays a key role in this context, either because it is directly used by stakeholders or has inspired national or sectorial codes. In some Member States, adherence to the European Code is prescribed by law, whereas in other Member States the Code is applied in practice without being prescribed by law. Most stakeholders were of the opinion that the encouragement of the development of and adherence to voluntary codes of conduct by mediators and organisations providing mediation services required by the Directive has been effective. It therefore appears that with regard to codes of conduct, the implementation of the Directive is overall satisfactory. 18 Member States have rules relating to quality control mechanisms concerning the provision of mediation services. Most Member States have obligatory accreditation procedures for mediators and run registries for mediators. Where the legislation does not provide for registries or accreditation procedures, mediation organisations have usually set up their own. There currently exists a great variety of quality control mechanisms in the EU. In the consultation, a large number of respondents were in favour of developing EU-wide quality standards for the provision of mediation services, among them in particular many mediators. There was, however, hardly any support from Member States. Respondents in favour of developing European-wide quality standards were divided between those in favour of EU-wide uniform standards which they consider necessary in order to further promote the take-up of mediation and those in favour of minimum standards which would ensure consistency, but which would also make it possible to take into account local differences in mediation cultures. Others stressed that European standards should be based on the highest existing national standards in order to avoid that they become a product of the lowest common denominator. Respondents against developing European-wide quality standards argued that such standards are not necessary for the success of mediation, that national standards are too different, that the development of these standards should be left to Member States, or that self-regulation in each national market is sufficient. They also stressed that Member States have significant cultural and legal differences concerning dispute resolution which affect the way in which parties use mediation. Uniformity would restrict consumer choice and lead to disputes. At the most, the European Union should promote and facilitate the sharing of good practices. Taking into account the reluctance of Member States against binding EU-wide quality standards, but also the significant support from stakeholders, one way forward may possibly consist in the provision of EU funding for a stakeholder-driven development of EU-wide quality standards for the provision of mediation services in the context of the work of the European Committee for Standardization (CEN) on the basis of Regulation (EU) No 1025/2012 on European standardisation, for instance for a CEN Workshop agreement (CWA). Despite the fact that in principle CWA work should be fully market-driven, such funding is possible if considered as "necessary and suitable for the support of Union legislation and policies". 17 Member States encourage training or regulate it in part or in detail in their national legislation. Going beyond the minimum requirements of the Directive, most Member States regulate the initial training of mediators and make it mandatory. Many also impose a requirement for further training. In Member States where training is not regulated, mediation organisations usually provide training on a voluntary basis. In the consultation, a large majority of respondents considered that the encouragement of initial and further training of mediators required by the Directive had been effective. Others stressed the levels of disparity and divergence between different Member States as regards the creation, recognition, growth and development of the profession of mediator. In their opinion, there is some common ground, but little synergy between the various jurisdictions as regards training and the setting of standards. They consider that the training of mediators across Europe varies substantially as regards the hours required and the content of the training. 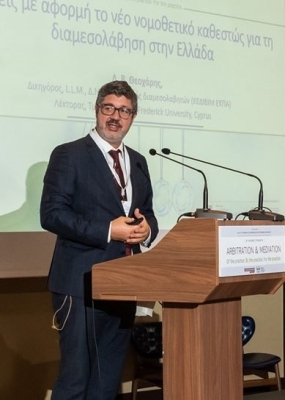 In cases concerning mediation in family matters, the European Judicial Network in civil and commercial matters has highlighted the importance for citizens of an access to mediators who have been trained specifically in international family mediation and in child abduction cases. In order to further promote the training of mediators, the Commission will continue to cofinance various projects concerning training on mediation through its "Justice Programme". All Member States foresee the possibility for courts to invite the parties to use mediation or at least to attend information sessions on mediation. In some Member States, participation in such information sessions is obligatory, on a judge’s initiative (e.g. in the Czech Republic) or in relation to specific disputes prescribed by law, such as family matters (Lithuania, Luxembourg, and England and Wales). Some Member States require lawyers to inform their clients of the possibility to use mediation or that applications to the court confirm whether mediation has been attempted or whether there are any reasons which would stand in the way of such an attempt. In some Member States, schemes for mediation were developed to meet the requirements of specific proceedings, for example where strict time-limits apply. For instance, in the Netherlands, the pre-trial judge will mainly discuss the possibility of crossborder mediation with the parents who want to engage in mediation in cases of parental child abduction. Cross-border mediation starts the day after the pre-trial hearing and is concluded within three days. In case of a successful outcome, the results are then immediately presented to the judge dealing with the case. In the United Kingdom, at any time during judicial proceedings judges must consider whether alternative dispute resolution systems, including mediation, could be appropriate to settle the dispute. In such cases, the judge will invite the parties to refer their dispute to that system. A significant majority of stakeholders considered practices aimed at motivating parties to use mediation as not effective. They stated that such invitations happen too rarely because judges do not know or trust mediation. Respondents who considered practices as effective referred mainly to the family law area. The above shows that practices to incentivise parties to use mediation, apart from some specific instances set out above, are not yet generally satisfactory. Further efforts at national level - in line with the respective mediation systems in place - should therefore be made. Respondents highlighted the following measures in national law as particularly useful: requiring parties to state in their applications to courts whether mediation has been attempted which would not only remind judges examining court applications, but also lawyers who advise the parties of the possibility to use mediation, obligatory information sessions within the framework of a judicial procedure and an obligation of courts to consider mediation at every stage of judicial proceedings, in particular in family law matters. It follows from the study that mediation is compulsory in certain specified cases in 5 Member States. For instance, in Italy mediation is compulsory in many and various types of disputes, in Hungary and Croatia in certain family matters. Many Member States promote the use of mediation by providing financial incentives for the parties. 13 Member States provide financial incentives for mediation through reductions or a full reimbursement of the fees and costs of court proceedings if an agreement is reached through mediation during suspended court proceedings. For instance, in Slovakia 30%, 50% or 90% of court fees are refunded, depending on at what stage of the proceedings a mediated settlement is reached. In some Member States, mediation itself is offered free of charge or at low costs, according to the economic situation of the parties. There are also financial incentives in the form of legal aid. Member States apply different rules for different types of disputes or mediation processes. For example, in Germany, legal aid always applies to court mediation, but is limited with regard to out-of-court mediation. In Slovenia, it applies only to court mediation. In Luxembourg, legal aid is available for court mediation and family mediation conducted by a certified mediator. In Italy, legal aid is available for compulsory mediation. In this context, it should be stressed that Article 10 of Directive 2003/8/EC extends the right to legal aid in cross-border disputes to extrajudicial procedures, including mediation, if the law requires the parties to use them, or if the parties to the dispute are ordered by the court to have recourse to them. 5 Member States impose sanctions as a means to promote the use of mediation. In Hungary, there are sanctions for parties which after having concluded a mediation agreement, go to court nevertheless or do not fulfil the obligations assumed under a mediation agreement. In Ireland, sanctions apply for an unjustified refusal to consider mediation. In Italy, the successful party in litigation proceedings cannot recover costs if it has before rejected a mediation proposal that had the same terms as the court judgment. Sanctions exist also in cases where mediation is compulsory and the parties do not make use of it, but go to court instead. In Poland, if a party which had previously agreed to mediation without justification refuses to participate in it, the court may order it to pay the costs of the proceedings, irrespective of the outcome of the case. In Slovenia, the court may order a party which without justification rejects the referral of the case to a court-annexed mediation to pay all or part of the judicial expenses of the opposing party. The question whether mediation should be compulsory or not is controversial. Some stakeholders conclude that the lack of compulsory mediation impedes the promotion of mediation. Others on the other hand consider that by its very nature mediation can only be voluntary in order to function properly and that it would lose its attractiveness compared to court proceedings if it was rendered compulsory. Rights of the European Union. A majority of stakeholders is in favour of a more compulsory approach towards mediation. However, a majority of Member States and academics are opposed. Among those in favour of a more compulsory approach, one group of respondents advocated making mediation compulsory for certain categories of cases (such as commercial cases, family law, employment law or small claims). To a lesser extent, making mediation compulsory for any type of case was supported. There was generally little support for sanctioning the lack of use of mediation, although there was some support for imposing the costs on parties which reject mediation without reasons. Incentivising parties to use mediation was more generally supported. Examples of useful incentives mentioned by respondents are lower court fees for parties that have tried mediation prior to filing their claim, effective and attractive fiscal deductions, mediation free of charge or at least financial support of mediation services by the State. The use of incentives seems helpful to motivate parties to use mediation. The costs related to the resolution of a dispute are an important factor for parties when deciding whether they attempt mediation or go to court. Therefore, financial incentives which make it more attractive in economic terms for parties to use mediation instead of resorting to judicial proceedings, can be considered as best practice. The imposition of mediation within the framework of a judicial procedure might be considered where the parties may - because of the nature of their relationship - have reasons for repeated disagreements or even court litigation, such as in certain family matters (e.g. rights of access to children) or in neighbour disputes. It should be stressed that also in such cases, the right of access to the judicial system which is guaranteed by Article 47 of the Charter of Fundamental Rights of the European Union must be respected. In light of the above, Article 5(2) of the Directive can be considered appropriate. All Member States provide for the enforceability of mediation agreements as prescribed by the Directive. Some Member States went beyond the requirements of the Directive: Belgium, the Czech Republic, Hungary and Italy do not explicitly require the consent of all parties to the dispute for a request for the enforceability of the mediation agreement. In Greece and Slovakia, an enforceability request can be made by one of the parties without explicit consent from the others. Under Polish law, by signing the agreement, parties give their consent to request the court’s approval for enforcement. There may be exceptions to the general enforceability of mediated agreements. Such exceptions may be, for instance, when the agreement is contrary to public order or against the interest of children in family disputes. A majority of stakeholders considers practices concerning the enforceability of agreements resulting from mediation as effective. They argued that a need for the enforcement of a settlement arising from mediation is extremely rare. In their view, the very nature of mediation makes it likely that having given their assent, parties will abide by the agreement. Some respondents who consider practices as not effective are of the opinion that all agreements resulting from mediation should be enforceable regardless of the will of the parties. Indeed, in order to ensure the effectiveness of mediation, best practice could consist in allowing one party to request the enforceability of the agreement even without an explicit consent of the other party. Confidentiality of mediation is protected in all Member States as required by the Directive and the Directive has therefore been correctly implemented. Some Member States went beyond the requirements of the Directive and introduced stricter rules. For instance, in Malta, mediators must keep confidential whether an agreement was reached during mediation and that information may only be divulged if the parties expressly agree to it in writing. A large number of stakeholders consider practices concerning the confidentiality of mediation as effective. However, an issue mentioned by several respondents is that whilst mediators have a duty of confidentiality, there is no general right to refuse to give evidence for mediators like for other legal professions such as lawyers. There are, however, no indications that in practical terms, Article 7 would not sufficiently protect confidentiality of mediation. All national laws ensure that that parties who choose mediation are not subsequently prevented from initiating judicial proceedings by the expiry of limitation or prescription periods during the mediation process. The Directive has therefore been correctly implemented in this respect. The suspension of limitation and prescription periods is particularly important in cases where strict deadlines apply in the judicial proceedings, for example in child return proceedings in the context of parental child abduction. A large number of stakeholders consider practices concerning the suspension of limitation or prescription periods during the mediation process as effective. Among them, some stressed that in their jurisdictions this was guaranteed thanks to the transposition of the Directive into national law. 13 Member States have included the obligation to spread information about mediation in their national legislation. A variety of measures were adopted to inform citizens and businesses about mediation (e.g. online information on the websites of competent national bodies, public conferences, public promotion campaigns, TV spots, radio broadcasts, posters, etc.). In all Member States, information on the advantages of mediation and useful practical information on costs and procedure is also provided by associations of mediators, bar associations, or the mediators themselves. Nonetheless, the study shows that awareness regarding mediation remains low and that information remains lacking for potential parties. This affects the efficiency of mediation services negatively, as confirmed by stakeholders in 18 Member States. Information is not only lacking for parties but also for legal professionals; this constitutes an additional obstacle to the potential widespread use of mediation in at least 10 Member States. In the consultation, a majority of respondents consider the provision of information for the general public as not effective. Among those who consider it as effective, many stated that information made available on the internet e.g. by courts, ministries, mediation organisations or chambers of commerce is most effective. Other effective mechanisms mentioned are information brochures, personal court visits or information events such as mediation days. The European Commission is co-financing projects concerning the promotion of mediation through its "Justice Programme". Furthermore, on the website of the European e-justice Portal13 there is a significant amount of information available on the mediation systems of the Member States and about whom to contact. It should be explored through the European Judicial Network in civil and commercial matters how knowledge of the available information could be further disseminated. The Mediation Directive was introduced to facilitate access to alternative dispute resolution, promote the amicable settlement of disputes and ensure that parties having recourse to mediation can rely on a predictable legal framework. This policy objective remains valid today and for the future: mediation can help to avoid unnecessary litigation at the taxpayers' expense and reduce the time and cost associated with court-based litigation. It can in the longer term create a non-litigious culture in which there are no winners and losers, but partners. The Mediation Directive has introduced different ways to promote the amicable settlement of cross-border disputes in civil and commercial matters and provided a European framework for mediation as a form of out-of-court or alternative dispute resolution. Based on the study, the public online consultation and the discussion with Member States in the European Judicial Network in civil and commercial matters, it appears that the implementation of the Mediation Directive has had a significant impact on the legislation of many Member States. Apart from setting certain key requirements for the use of mediation in cross-border disputes concerning civil and commercial matters, the Directive has given impetus to a wider take-up of mediation also in a purely domestic context across the EU. This is due in particular to the fact that most Member States have extended the scope of their measures transposing the Directive to domestic cases. Overall, the Directive has provided EU added value by raising awareness amongst national legislators on the advantages of mediation, introducing mediation systems or triggering the extension of existing mediation systems. The extent of the Directive’s impact on Member States varies according to the pre-existing level of their national mediation systems. Difficulties concerning the functioning of the national mediation systems in practice are mainly related to the adversarial tradition prevailing in many Member States, an often low level of awareness of mediation and the functioning of quality control mechanisms. Member States should, where necessary and appropriate, increase their efforts to promote and encourage the use of mediation through the various means and mechanisms foreseen in the Directive and addressed in this report. In particular, further efforts at national level should be made to increase the number of cases in which courts invite the parties to use mediation in order to settle their dispute. The following can be considered as examples of best practice in this regard: requirements for parties to state in their applications to courts whether mediation has been attempted, in particular in family law matters obligatory information sessions within the framework of a judicial procedure and an obligation on courts to consider mediation at every stage of judicial proceedings, financial incentives making it economically more attractive for parties to use mediation instead of resorting to judicial proceedings, ensuring enforceability without necessarily requiring the consent of all parties to the agreement. The Commission will continue to co-finance mediation-related projects through its "Justice Programme". It is also in principle open to provide EU funding to a stakeholder-driven development of European-wide quality standards for the provision of mediation services. Furthermore, the Commission will continue to consult the European Judicial Network in civil and commercial matters to further promote the take-up of mediation, e.g. in order to obtain a more solid data basis on the use of mediation and to increase awareness of the public, in particular of the information available on the website of the European e-justice Portal on the mediation systems of Member States.